On a recent Called to Coach, we spoke with Father James Mallon, Episcopal Vicar for the Archdiocese of Halifax-Yarmouth in Nova Scotia, Canada. Jim Collison: Introduce our guest to us. Guest host Mike McDonald: Father James Mallon is joining us today. Father James joins us from Halifax, Nova Scotia. He has a broad role within the diocese there and locally with St. Benedict’s, and has been one of the most predominant practitioners of strengths and engagement that we have on record, and has used that within the church and other organizations. Great to have you with us, Father James. Father James Mallon: It’s great to be with you and with everyone else watching. MM: Where did your first interaction with strengths or engagement strike a chord in you? FJM: I was first introduced to (CliftonStrengths) and the paradigm around the ME25 (Membership Engagement 25) about 14 years ago, and when I first saw it, I was skeptical and saw it as a corporate American money-grab. I was quite dismissive of it, but two years later, my (now) personal assistant insisted that I read the book, Growing an Engaged Church, and the first line in Al’s (author Al Winseman’s) book rocked my world because it confirmed all of my learnings -- that the key to unlocking fruit in your parish/organization is the soil and not the branches. I had been preaching to the branches and trying to get them to bear fruit, but this had not made the difference I thought it would. Two years before, I wasn’t ready to receive this, but it opened up a curiosity, and after reading Growing an Engaged Church, I did the CliftonStrengths assessment. That was about 12 years ago, and it’s been an utter game-changer in my life, and is central to the transformation we saw in my parish and now in my diocese, and globally with the Divine Renovation ministry. MM: Help us know more about you. What are your Top 5? FJM: I perceived that I had the most embarrassing strengths ever; very un-Christian strengths, and I considered them character defects (though they were not a surprise to me). I had spent a lot of energy suppressing them, and now I’m being told it’s my raw talent and I can develop them into a strength that God can use? That took a lot to get used to. My Top 5 are Competition, Achiever, Activator and Command -- so I’m competitive, ambitious, impatient and bossy. I knew that about myself and didn’t like it, and spent time confessing sins around these strengths. My fifth is Connectedness, no surprise to me; I love connecting people and finding commonalities with them. I truly saw these strengths as defects. But when I began to understand and accept these strengths, to say, “OK, Lord, this is how you’ve made me, … this is my path of least resistance, and I need to lean into these things,” over the last 10 years, the impact of my ministry and my leadership has disproportionately exploded to a point that I would have never imagined. MM: Thanks for that very transparent “dive” into (who you are). How did you translate what you were experiencing then to connect with the leaders in the diocese? FJM: Ultimately, our credibility will be rooted in fruitfulness. I have found that offering unsolicited advice is not a good strategy. When you manifest fruit and this fruit is visible, and people come and ask, then you can share. But to move from acknowledging and leaning into my strengths to actually bearing fruit, I had to learn a couple of hard lessons. Simply leaning into my strengths and forgoing concern about my weaknesses could be quite destructive. My tendency is to drive things faster and faster, and take on more and more, until I burn out and I burn out everyone around me. In leaning into my strengths, I actually hurt people -- not intentionally, of course. We need to “slay the beast” -- the myth --- that there is such a thing as a well-rounded person. But there can be a well-rounded team. If you’re going to lean into your strengths to allow God to use you, you’ve got to bring people around you for your weaknesses. It was only at that point that the fruitfulness in a sustainable and healthy way began to emerge. That was a painful lesson. I learned that I need people who will hold me accountable, who will stand up to me when I’m being an idiot -- when I’m hurting people when I am leading. The person who introduced me to (CliftonStrengths) has three strengths in her Top 5 that are my bottom three strengths. So that was a key insight -- that if I’m going to see fruit from my leadership leading into strengths, I need to have a team that I can lean into and rely on. I’ve got to learn the difference between leading a team and leading out of a team. Only if you lead out of a team can you lead out of your strengths. So we’ve found (CliftonStrengths) to be an amazing tool to unleash the leadership capacity of leaders, and we’ve used it at the parish level and with Divine Renovation ministry in building teams and building balanced teams. MM: One key question we hear from so many is, “How do you as a leader bring others along with you?” Sometimes it’s yes/no, “Do you bring others along with you?” We are looking at a voluntary choice -- voluntary, discretionary effort -- in faith communities as well as the marketplace. You can browbeat me, but the real art of leadership is will I volunteer to go with you? FJM: People can give you their time, but (not) their heart -- that’s a free thing, even in a work environment. People give you their heart if they know you’re prepared to give your heart to them. It’s uniquely voluntary in a church environment. There’s also the spiritual dimension and the challenges around that. On a staff team, I’m their boss but also their spiritual leader. That makes team dynamics challenging. One of the big leadership challenges is the difference between intent and impact -- you may have one intent and end up with a different impact -- and only people around you who have strengths you don’t have can help you see that. MM: Take us to the adoption of strengths engagement at the diocese level. What would that look like, and then, what does long-term sustainability look like? FJM: We hired a director of engagement and had her trained as a strengths coach; we started bringing in the language of (CliftonStrengths) and used it to build teams, brought it into our marriage prep program, and started doing the ME25. So people in the parish knew we were doing these things. And then I wrote the book, which had a section on (CliftonStrengths). My responsibility is leadership support and parish renewal, so my job is to support the leadership of the pastors and lay leaders who want to work for the renewal of their parishes; and by renewal, I mean moving from maintenance to mission (from an inward focus, a “club mentality,” to an outward focus). Out of the gate, I’m not going to work with everyone. I’m going to work with the innovators and early adopters among pastors and lay leaders -- to find the “good soil,” in biblical language. My first meeting with pastors was to listen to what was life-giving in their ministry, and what was not; and what their dreams were for five years in the future. Only about one-third knew their Top 5, so I started to book follow-up appointments with pastors, in terms of their Top 5 themes. We’re restructuring our parishes, and all of the parishes will be team-based and will involve (CliftonStrengths) to help them build balanced teams. One of the things we have to overcome in a spiritual environment is the false understanding that we don’t need the human stuff; we just need to be more spiritual. The truth is, as St. Thomas Aquinas said, grace (the work of God) builds on nature. If your human foundation is dysfunctional, you’ll be messed up, no matter how spiritual you are. We must work toward organizational help and God can work with that powerfully. probably have that in our coaching toolbox. FJM: Engaged parishioners and ministry leaders can be involved but disengaged with their congregation. Some of them have great capacity. And that brings us to the Q12, which measures engagement. If your pastors are actively disengaged even though they’re high-capacity, is it worthwhile to invest in them? That’s a decision you have to make. Although high-capacity, high-engagement is the ideal, do I go with a high-capacity, low-engagement person or a high-engagement, low-capacity person? I think engagement has to win out every time because with it you have the heart; you can build a team with someone who is humble and willing to learn. We waste a lot of time trying to coach those who are actively disengaged (low engagement), people who have quit and stayed. We need to have a heart for these people but not spend a lot of time with them; spend the time with those who are open. Let the fruit speak for itself, and hopefully some of the actively disengaged will be won over. MM: I’m going to steal that phrase, “They quit but they stayed.” Your response helps us understand the emotional component of engagement. Engagement helps convert our potential into performance. FJM: It’s such an incredible paradigm for any organization that has a sense of mission, reflecting the ministry of Jesus himself, and is suited to a postmodern world. Engagement is about a meta-narrative, do you see yourself as part of something bigger, something that has a purpose beyond yourself? In our individualistic culture, there aren’t meta-narratives; the meta-narrative is me. How do we move people from their micro-narrative to a meta-narrative? If we’re going to reach a postmodern world, we have to begin with belonging, which leads to believing, which leads to behaving. Jesus didn’t meet people and begin with their behavior. He accepted them and loved them, and then they ultimately changed their behavior. It’s not that behavior doesn’t matter, but it came last. And that’s going to be key for any organization, because if you want engaged employees who are getting behind the mission, you want them to be part of a bigger narrative. JC: From the chat room, how do you think about performance management at the parish level? FJM: We began to be intentional about (eliminating) the language of “reports,” which is top-down (I report to x person); we now talk about “supports.” Jesus said leaders shouldn’t “lord it over” others; but in contrast to this, the church has mirrored a top-down, worldly model of leadership. And Gallup has shown that a coaching model of leadership is so much more effective than a managerial model. You can still set goals and have benchmarks in a coaching model. If we have team members who are not performing well, over time after an investment in them, we have to help them move to a different position. In the church, we’re up against the idea that we’re supposed to be “nice”; we don’t fire volunteers or staff (but we have to change that model). We have also, over the course of six or seven years, made it so there is not a single leadership position that is done on a volunteer basis (where people themselves ask to lead one of our 60-70 ministries). Now leaders are identified, called forth, and equipped to lead. We have a low-control, high-accountability model. MM: One of the most powerful data points we have is that there’s a cascade effect -- if leadership (at the diocese level, in your case) is engaged, then the next level (priests) are 39% more likely to be engaged. But then what’s really interesting is that the next level (priests’ staff) are 59% more likely to be engaged. So there’s no a dilution effect but a magnifying effect. And what you’re saying just confirms that. I also love the backdrop of the positive, productive tension: The church overinvests in the invitation, welcoming aspect; but once a person is inside, the church falls short in terms of sharpening, challenging, maturing them. We are typically at our most engaged early on in our experience with an organization, but then we wonder why engagement declines. And I love how you’ve spoken that message of sustainability on engagement. If you want more insight in what Father James has shared, the book Divine Renovations is terrific and great thought leadership that translates to application. Father also mentioned the book Living Your Strengths, which is a faith-based version of CliftonStrengths, and then Growing an Engaged Church, which has a lot of references to our data on church engagement and its relation to the Q12. The ME25 has an additional 9 spiritual commitment items and 4 outcomes for faith organizations. Father James, thank you so much. 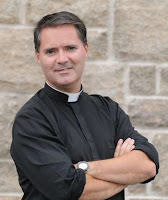 Father James Mallon is Episcopal Vicar for Parish Renewal and Leadership Support for the Archdiocese of Halifax-Yarmouth in Nova Scotia, Canada. He is the former pastor of Saint Benedict Parish in Halifax, and continues to be involved in this faith community. Father James leads a movement about divine renovation, driven by a bestselling book of his (Divine Renovation: From a Maintenance to a Missional Parish) that has grown to be a world-influencing conference. Father James’ top five strengths are Competition, Achiever, Activator, Command and Connectedness.